Valentine's Day is a fun time for many children. During this celebration, you will want to teach the children the meaning of this day, as well as provide fun crafts and activities to entertain and stimulate them. Below you will find enough lessons, crafts, and activities to cover an entire day (or more) worth of Valentine's Day fun and learning. Before starting the day with the children, be sure you have Valentine's Day books and supplies for any activities ready. To make this day run smoother, provide each child with a plain-colored pocket folder that contains all of the paper materials needed for the day. This way when it's time to do each activity, the child will be prepared. This will also serve as an easy way for the child to take the finished work home. Below is a fun way for each child to personalize their folder. For supplies that won't go into the folders, place a bin containing enough supplies to share at each desk or group table. To complete all projects below, you will need to have glue, scissors, a sharpened pencil, and colored pencils/crayons/markers for each student. You'll also need to have a jar with each child's name inside on folded papers. For certain activities, you may want to let the children know how much time they have. An easy way to do so is to is to tell them which number the big hand on the clock will be on when their time is up. You may want to prepare a children's collection of music to play on Valentine's Day that is related to love, sharing, and caring. For instance, one song that could be included is the "I Love You" theme song for Barney and Friends. Supply each student with a white pocketed folder that contains their worksheets for the day. Instruct the children to write their names in the top right corner with their favorite dark color. Once they have done this, instruct them to write "My Valentine's Day Folder" in the middle. If your students cannot yet write, you may choose to do those first two things beforehand. After the labeling, instruct the students to draw things that represent love and Valentine's day on their folders. Allow them to draw and color whatever they wish. For this first story session, you will need to have a children's book that tells the meaning of Valentine's Day and/or love. Some good books for this are as follows. The above books are all appropriate for elementary ages. If you would rather not purchase books, remember that a local library likely has plenty of Valentine's Day books and many will order books on request if they do not have what you want on hand. Active Discussion - Once the story is read, ask the children leading questions that will provoke understanding of what Valentine's Day is for and/or the meaning of love. For this game, the children will each need a heart-shaped paper. The lined heart paper in the activity section of this article is good for this purpose. You will need to have your name jar out. Walk around the classroom and allow each student to draw a name from the jar. If a student gets his or her own name, that student must place the name in the jar and draw again. Once every student has a name, the students should write a nice message or poem on the heart-shaped paper for that person. If the children have started with a white heart paper, they may want to color it red or pink before writing a message. Instruct the students to think of something nice the other person has done to make the messages more meaningful. The students should then fold the valentines in half and write the person's name on the outside. You will then need to come around the class and collect the valentines in a basket and then pass them out. The students can then read aloud the valentine they have received. For this next story, you will want to choose a book that underlines an example of good and bad things that can happen on Valentine's Day. Some good books for that are as follows. As mentioned above, if you do not wish the purchase books, check the local library. Active Discussion - Once the story is read, ask the children leading questions that make them think about what is okay to do on Valentine's Day and what isn't. Also, let them know that it should not be embarrassing to love a friend. Friends are special. This game will be played just like "Go Fish". If you don't know how to play, instructions can be found by searching the internet. Where you would normally say "go fish", tell the children to say "fish for that valentine". Before the game, you will need to make the children decks of cards with different things related to Valentine's Day. Remember that in a "go fish" deck, there will be two pairs of each design, as the players will be matching them. Be sure to make enough decks so that you can split the children into groups of 4 players. To duplicate the first deck you made, just make copies of it. Laminate all the decks to make them last longer. When the children are playing, you can walk around and help them if needed. Provide each child with various shapes of hearts out of a variety of different types of papers in pink, white, and red. Instruct the children to make their family members valentines with special messages. If they glue items together, be sure they know to allow the items drying time before placing them in their folders. Try not to limit students to choosing one family member. This is a mistake some teachers make. Some students will feel pressure or anxiety when choosing whether to give this special gift to mom, dad, or a grandparent because they don't want to make the others feel bad. An easy way to do this without the children getting too carried away with making a large amount of valentines is to say "Let's make valentines for parents and grandparents." This way, it limits it to a certain point, but does not make the child choose between their most loved relatives. 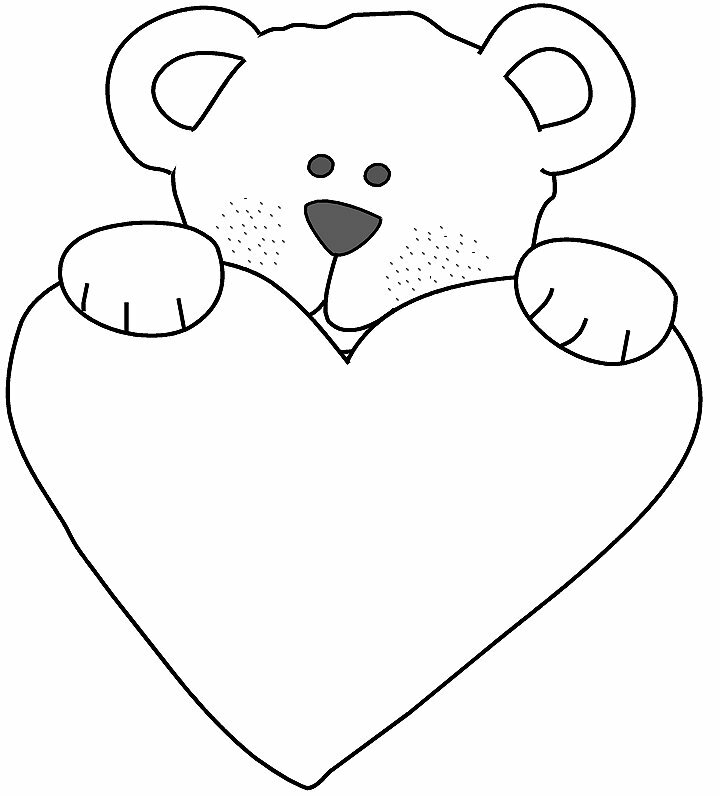 Below are links to some coloring and activity pages related to Valentine's Day and love.